ATTENTION: If you are tired, worn out, unhappy, sick, moody or depressed! We say it so often that most people don't even notice anymore. Those four little words are not even being heard any longer. As a matter of fact you are probably embarrassed to keep saying them. You are probably telling yourself everyone is going through it - it's not so bad. Well guess what? It is bad. Really bad! Make sure you keep reading, and I'll share those four little words with you. Right now you or someone you know is becoming a statistic. Becoming a walking time bomb. That's right - this "unknown silent killer" affects 75% of Americans. And guess what? It does not discriminate. Not against age, gender, ethnicity or religion. So why do you think it won't affect you or a loved one? A feeling of severe overwhelm where all you experience is complete and total helplessness. Headaches that you may have experienced only occasionally before, but are now becoming more regular, perhaps at times even excruciating! Stiffness in your joints that sometimes becomes more relentless. Moodiness and anger that you take out on your family and friends. If you recognize just one of these symptoms, you need to keep reading because the powerful information I am going to share with you could help you feel better, save your marriage, have fun with your kids, be more creative and productive, and start living a peaceful life! So what are those four little words I mentioned earlier? The four little words that 75% of Americans feel but have now come to suppress. The four little words that if you do not start shouting from the rooftops could steal your life away! That’s right – stress is the silent killer, the robber of all things good. Did you know that 80% of all doctors’ visits are due to a stress-related problem? Stress is a serious ailment that we have to start addressing and not just masking with drugs and denial! so many people complain of being tired all the time. At the very least, this common ailment can speed up your internal clock and your aging process. If left unchecked, over time, it can actually lead to bouts of depression, thoughts of suicide, heart attacks—or even worse—death. Stress claims the lives of tens of thousands of U.S. citizens each and every year! Despite that, surprisingly, most people don’t realize that stress can actually be easily managed. Not only that but, it’s also completely preventable. Who Got Rid of My Stress? Your Quick Start Guide to a Peaceful & Happy Life! But before I tell you all about its many incredible stress reduction secrets, let’s address the pink elephant in the room. I am not a doctor or a health care professional of any kind. But I sure know a thing or two about stress, getting rid of stress and in my opinion, the best NATURAL ways of preventing stress. You see, I’m a regular mom of three extremely busy kids. Our oldest daughter, Mikaela, is 16 now. She is an awesome softball player and is getting ready for college in just two short years. But it seems like every weekend we are at one of her travel tournaments and finding the time for that college preparation is not easy. Our 14-year-old son, Connor, is a quarterback. (Yes, watching your 150-pound son be the object of several 170 pounders out to get him on every offensive play is a bit stressful in itself). Plus dealing with boy puberty – well, you get the picture. And our youngest, Delanie, is 9. She trains for tennis pretty seriously, plays softball and is in her school musical. And pretty much wants to be the object of our attention every minute of the day. That’s just to name a few of the things I have going on . . . I also have my husband of 18 years. And keeping a marriage strong can be stressful and truthfully at times it has been, but I quickly learned it doesn’t have to be that way. Now add in church activities, volunteering at the kids’ schools, the dog, my charities and oh yeah, running a multi-million dollar business that includes employees, vendors, outsourcers, publishers and clients! My name is MaryEllen Tribby (my friends call me ME). 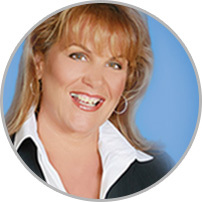 You may be familiar with a couple of my businesses like Working Moms Only.com or The CEO’s Edge or read my latest book, Reinventing The Entrepreneur: Turning Your Dream Business into a Reality. Another situation I deal with that most folks would consider stressful is sharing the responsibility of taking care of my own mom who is struggling with cancer. There were several operations not to mention chemo. And of course there is the customary paying the mortgage, saving for college, investing in all the kids’ coaches and lessons and oh yeah, saving for emergencies and retirement. But dealing with stress is not anything new. From the time I was a kid, I dealt with stressful situations. I started working when I was 10 years old. I used to deliver newspapers on my bike at 7:00 every morning. Even then I dealt with some pretty nasty customers. Back then I did not know there was a name for my situation. I just knew they were being mean to a ten-year-old! While I was in college, I worked 40 hours a week. I would spend all day in class and all night waiting tables. I tried to have a social life – but exhaustion took over and mono won. That kept me out of college for a full semester. Long after that I was working and living in New York City when my dad passed away. That was truly one of the most stressful times of my life and if I did not address the stress, I don’t even want to think what could have happened to me. When I speak to people about the situations that I have overcome, they ask me how I did it. They would comment that they were stressed and felt sick all the time. And frankly for me, actual experience and successful track records are really more important than theory. Of course there are thousands of books out there that address stress. Heck maybe even millions. Each book probably has 200 or 300 pages of information in it. And I am sure many of them are really good. But with everything you are dealing with right now, do you have time to read hundreds of books with hundreds of pages? 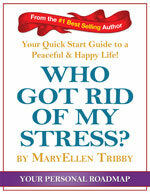 Or do you want ONE short yet powerful report that gives you GREAT advice on dealing with stress? I know looking back on all of my stressful moments I sure wish I had an authoritative report like this. I know it would have made my life so much easier. But like the old saying goes “What doesn’t kill us makes us stronger.” And now I know I was meant to write this report. Look - life happens. There are some things that are beyond our control but what separates the happy, productive, peaceful people from the rest is how they deal with life. Right now you can decide to kick stress to the curb and take control of your life. Like I did. Of course I’m busy, but it’s a “good busy.” I wouldn’t trade it for anything. But I’m no longer stressed out. I no longer get headaches, backaches or feel sad and depressed. I no longer knock the alarm clock to the floor when it goes off. Instead I jump out of bed ready to have a great day. This is what I want for you. This is why I wrote this report. NO fluff and NO B.S. Just the raw information you need to get started on a stress-free and peaceful life! The Stress Epidemic, will you be a victim or a valor? Nip this devastating killer in the bud so that it doesn’t overburden you or become unhealthy for you. Remain in total control whenever any of the symptoms of stress arise; whether you’re at work or at play, or in your personal dealings with others. Boost your energy level. Make sounder, quicker judgments. And maintain a more positive frame of mind throughout every day. Turn back the hands of your internal clock, and live your youth all over again! The cost of this report is only $7, and not free, for 3 reasons. I know many of you are struggling to keep it all together, make enough money to take care of you and your family. AND have time for you. By charging only $7 I make this report accessible to thousands of folks just like you. And anyone who's not serious enough about making a real change in their health to invest $7 isn’t going to take the time to use the methods laid out in the report anyway. BUT, anyone who is serious enough to pay the same price and buys this report, recognizes the opportunity to be healthier, happier, more peaceful, and to simplify their life. They know their nominal investment is well worth it a hundred times over! If you're thinking, "$7 is so cheap! What's the catch?" then you really need to read this report! It shows how much $7 can change your life for the better. So, if you're serious about making a big change in the next 30 days, start right now and click the "Add to Cart" button below. End deadly stress, and live the life you have been waiting for by discovering the amazing world of a stress-free life. 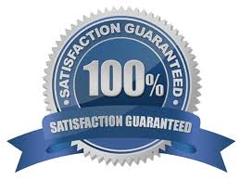 "Our Double You'll Love It Guarantee"
Guarantee #1 If for any reason you think my report isn’t the best $7 you’ve ever spent just send me an email and I’ll gladly refund your whole $7. Guarantee #2 If you actually DO what I recommend for you to do in this report (AFTER checking with your doctor) and your results aren’t great, I’ll actually refund TWICE your money. All I ask is that you give me an honest effort. Time is Very Much "Of the Essence"... I can't describe the time-sensitiveness of this offer enough. (That's a savings of 85%!)" 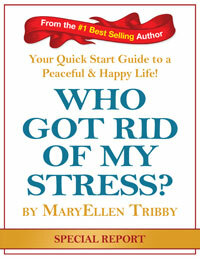 Claim Your Copy of Who Got Rid of My Stress? Your Quick Start Guide to a Peaceful and Happy Life! Your report is waiting for you to claim it. Just $7 gets you instant digital access so you can start taking control of your well-being immediately. Here's what you do to order… Have your MasterCard, American Express or Visa ready and Click here to Claim Your Copy of Who Got Rid of My Stress? Your Quick Start Guide to a Peaceful and Happy Life for only $7. But wait – I have not one but two very special bonus gifts for you! Bonus #1: A $47 Value – FREE! Who Got Rid of My Stress? Your Quick Start Guide to a Peaceful & Happy Life! Your Personal Cheat Sheet: It seems in this day and age some form of stress affects everyone. Once you learn what causes your stress, you can learn the best ways for you to reduce it and deal with it. Use this handy cheat sheet to identify your stressors and ways to reduce their effects on you immediately. Bonus #2: A $47 Value – FREE! Who Got Rid of My Stress? Your Quick Start Guide to a Peaceful & Happy Life! Your Personal Roadmap: This interactive booklet helps you brainstorm the ways you can begin reducing your stress today. It will easily and gently guide you to a state of fulfillment and happiness! So let’s recap. You get the Who Got Rid of My Stress? Your Quick Start Guide to a Peaceful & Happy Life! Special Report a $47 value . . .
Plus the Who Got Rid of My Stress? Your Quick Start Guide to a Peaceful & Happy Life! Cheat Sheat a $47 value . . .
Plus The Who Got Rid of My Stress? Your Quick Start Guide to a Peaceful & Happy Life! Your Personal Roadmap a $47 value . . .
now that is an incredible value! That is less than 2 cents a day! I put a great deal of thought, time and mostly care into writing this report and creating this package. It is my sincere hope that you take me up on this incredible offer. I know it can help you if you give it a real try – please for your health! P.S. This TINY $7 report is the only thing standing between you and the potential to have the life you deserve. P.P.S. Remember, there is more real actionable information in this TINY report than you'll get reading a dozen books. The ideas inside the report have worked for other people just like you, and it's 100% guaranteed so you can't possibly lose money. It's a no brainer. 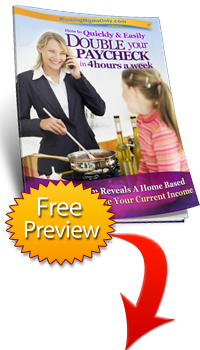 Click here to gain immediate access to Who Got Rid of My Stress? Your Quick Start Guide to a Peaceful & Happy Life! Your Special Report, Your Personal Cheat Sheet and Your Personal Roadmap! If it is not as amazing as I say it is all I ask is that you give me some feedback on what you think is missing… BUT, if you agree that it is amazing just come back after the fact and pay me the $7. All you have to do to get free instant access is enter your email address below, choose a password, and click the "Get Access Now" button… that's it! There is absolutely no credit card required to access this report and you won't be charged even a penny for the preview. Just enter your email address for your user name and create a password for free instant access to this report right now. All I ask is that if you like the report as much as I think you will, do the right thing and pay me the $7. Nothing on this website should be considered personalized Health Care Advice. Although our employees may answer your general customer service questions, they are not licensed health care professionals. No communication by our employees to you should be deemed as personalized Health Care Advice. Any Health Care recommended in this letter should be made only after consulting with your Doctor and licensed Health Care Advisor.